I’ve got the World on a String! 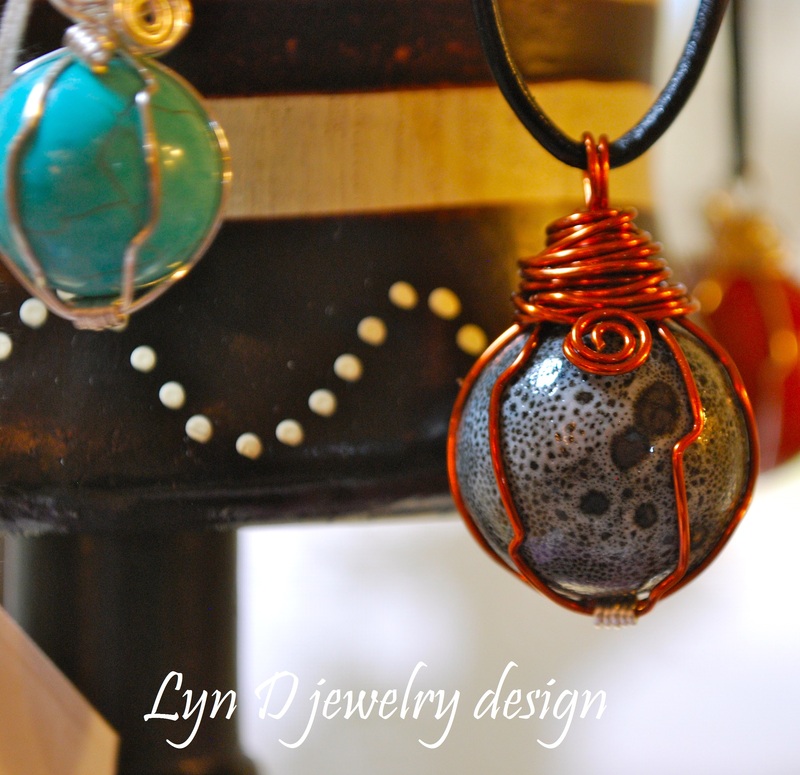 Posted in: Lyn D jewelry design, Necklace. Tagged: ceramic, copper, howlite, leather, silver, turquoise, world. Copper wrapped black ceramic world, and silver-plate wrapped ‘turquoise’ howlite world. Each hanging from fashionable black leather. I love these pieces! 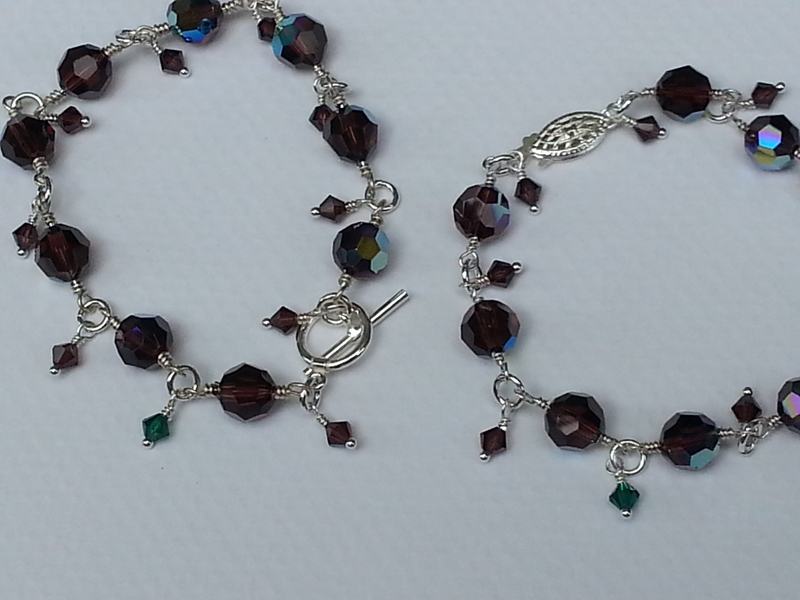 They are so easy and fun to wear, and you’ll be singing to yourself all day – a little music is wonderful for the soul. Yippee!! 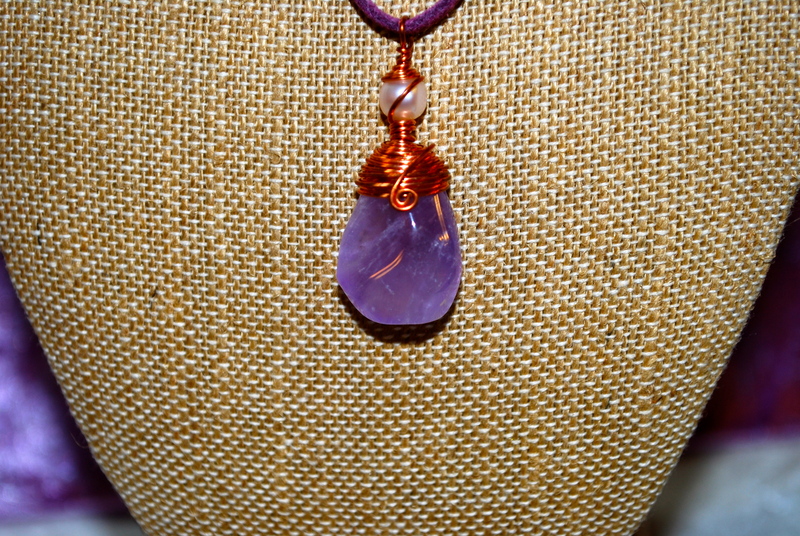 Finished this simply beautiful piece with amethyst, freshwater pearl, and copper on lavender suede. Well, it has finally happened – I have my own website and blog! Check back for info on upcoming shows where I will be selling my wares, as well as posting words of wisdom or favorite quotes. Have a really bitchen’ day!